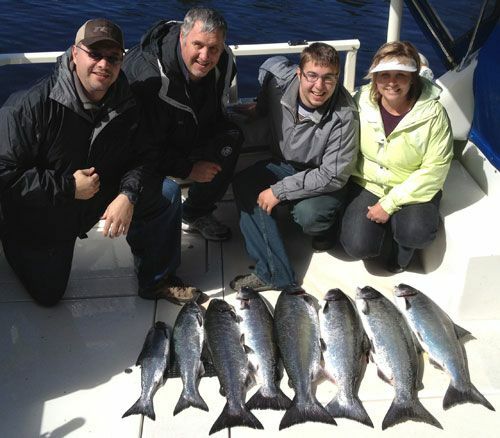 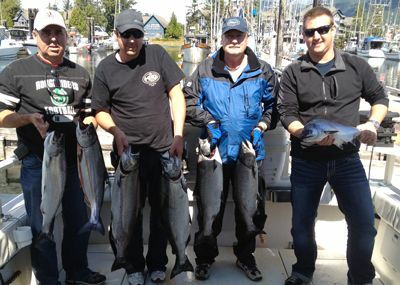 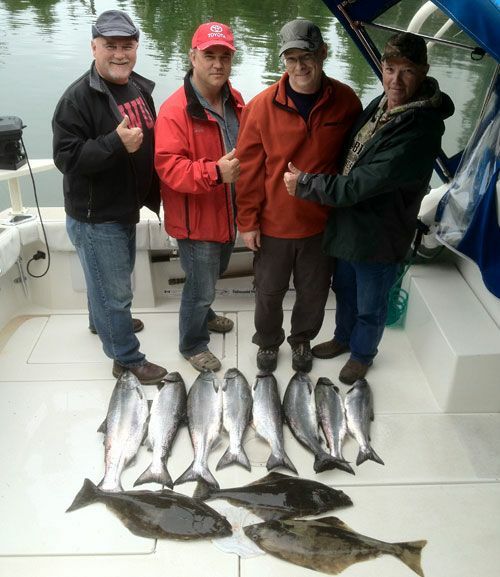 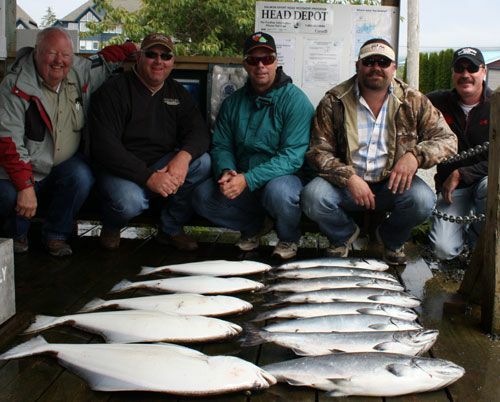 Early season Chinook fishing was productive, as we expected. 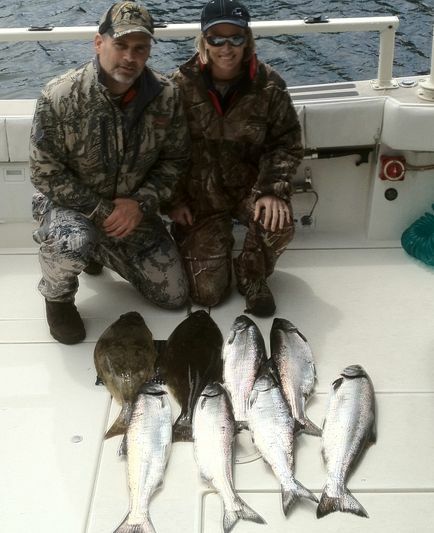 March and April were good. 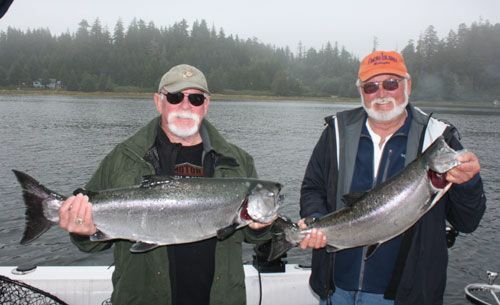 May slowed a little, but June picked up and by late June fishing was rolling along well. 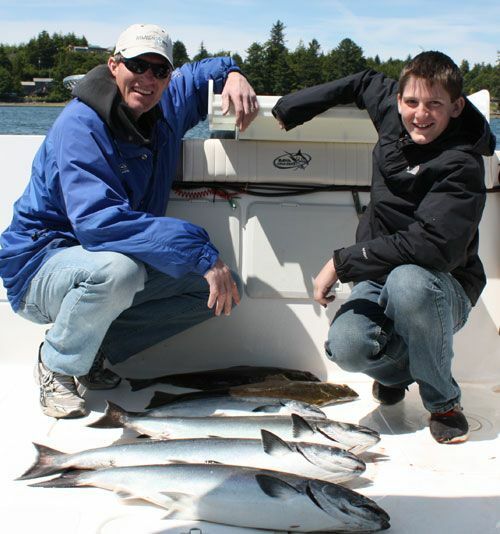 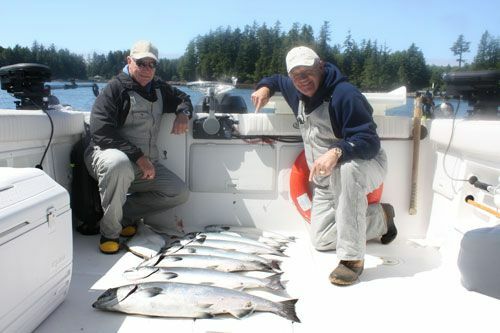 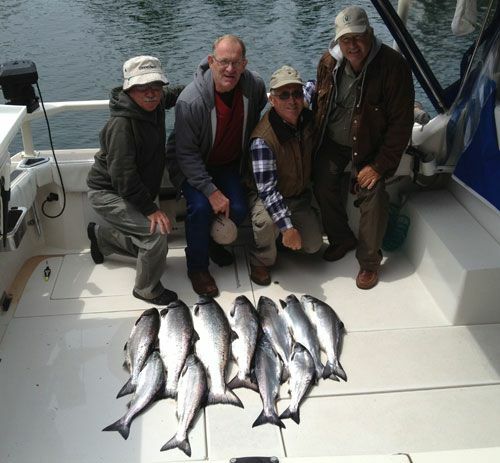 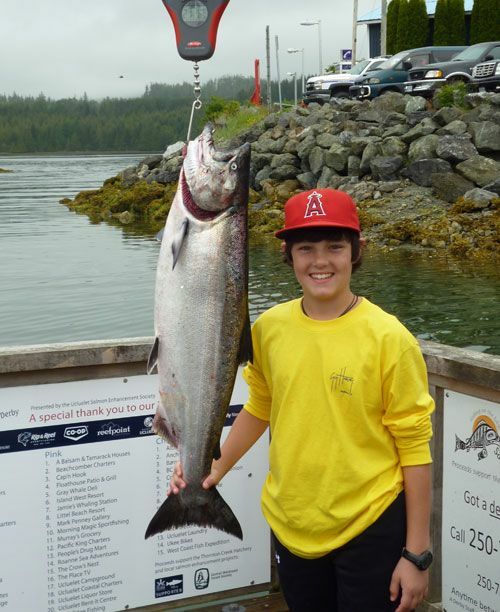 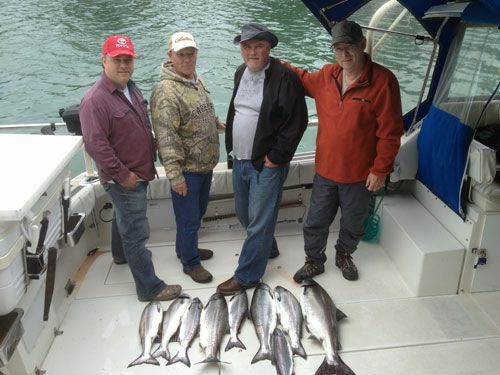 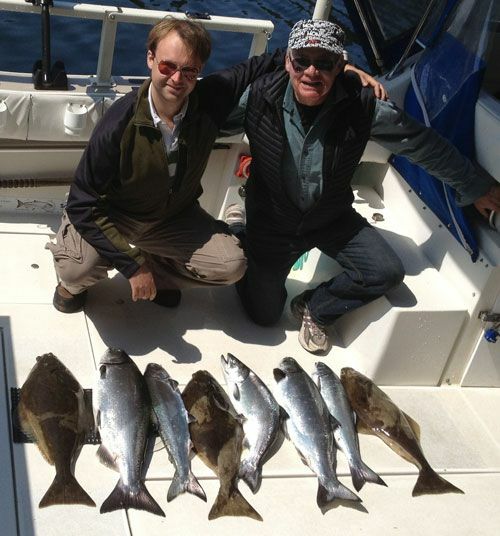 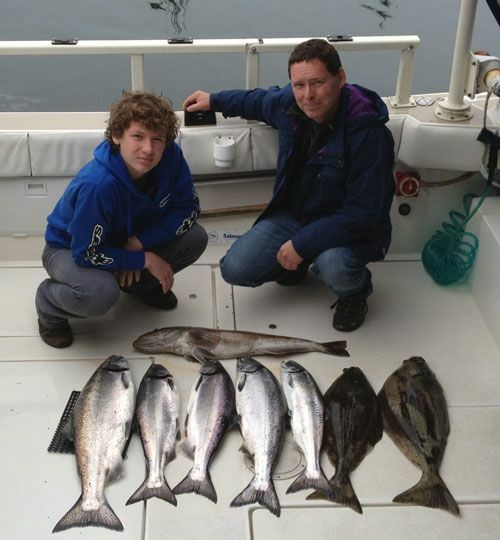 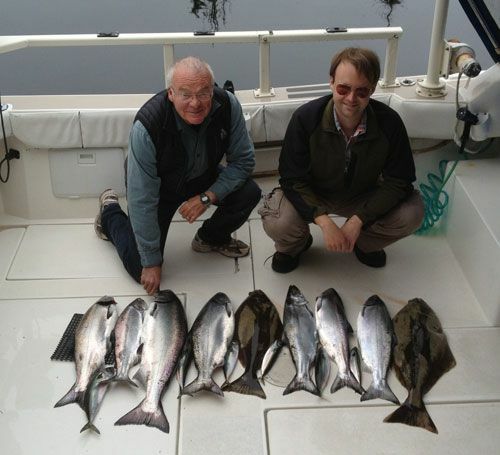 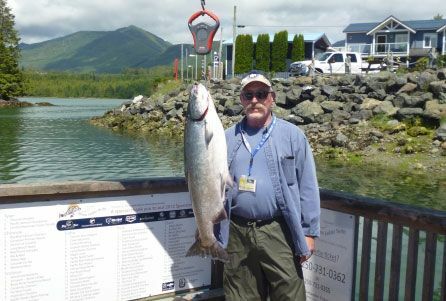 By late June Coho started to come in, as normal. 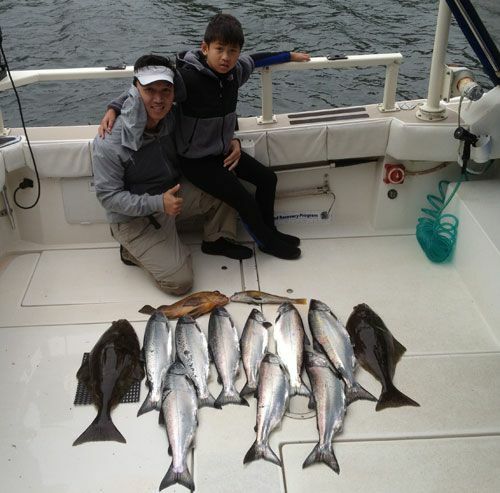 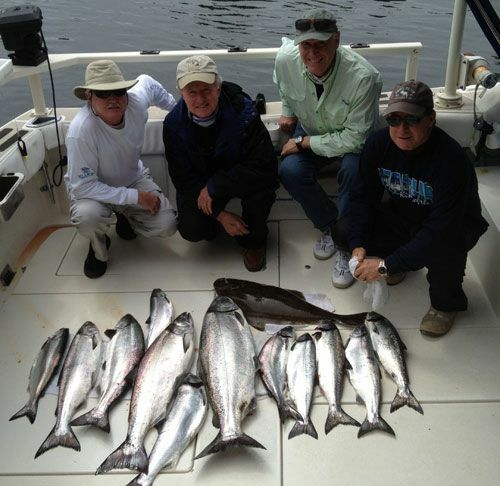 Most of July Coho fishing was very good and Barkley Sound and then moved offshore during August. 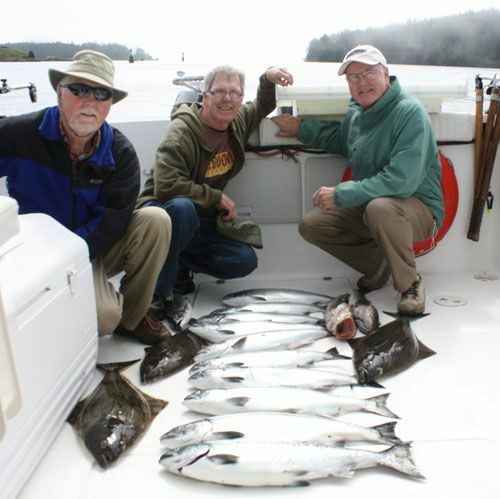 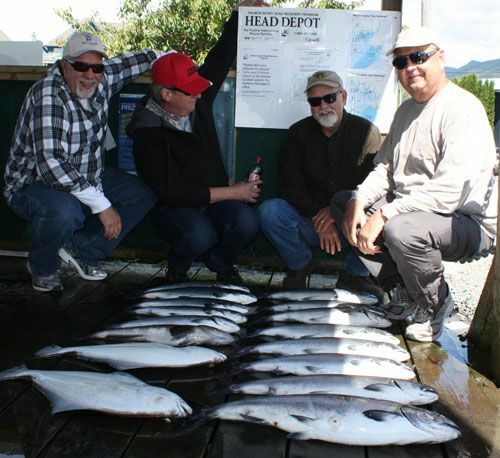 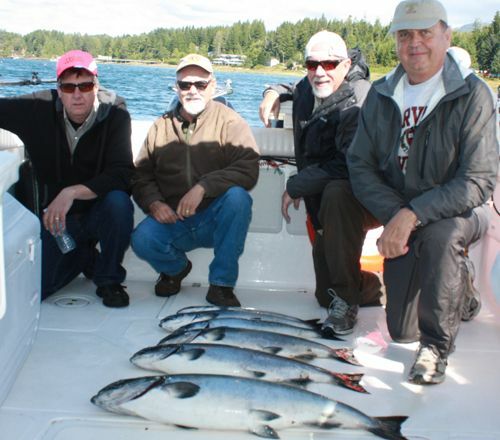 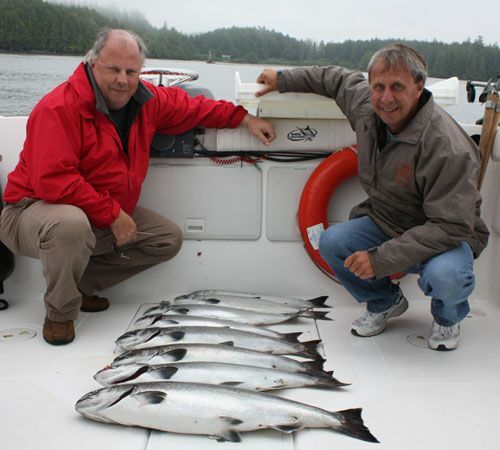 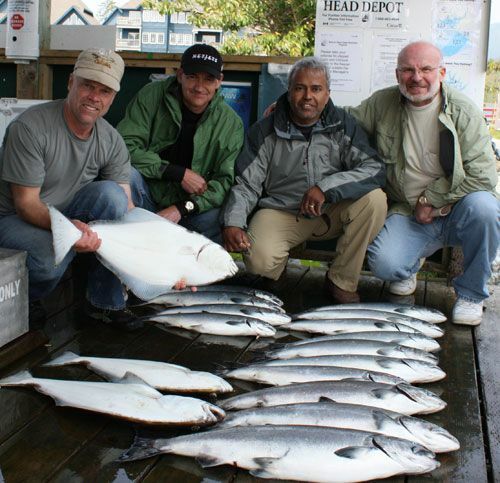 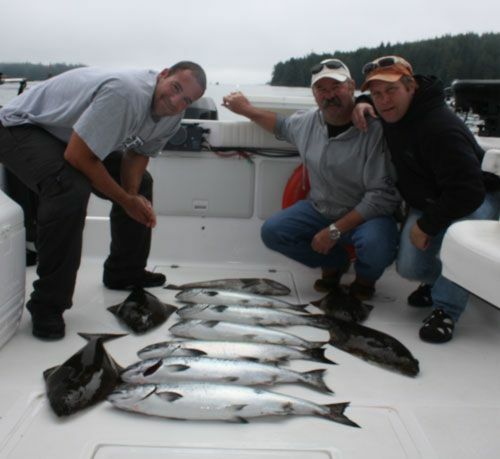 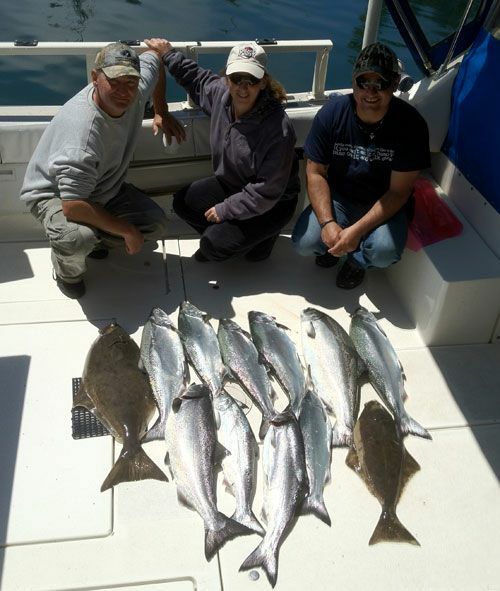 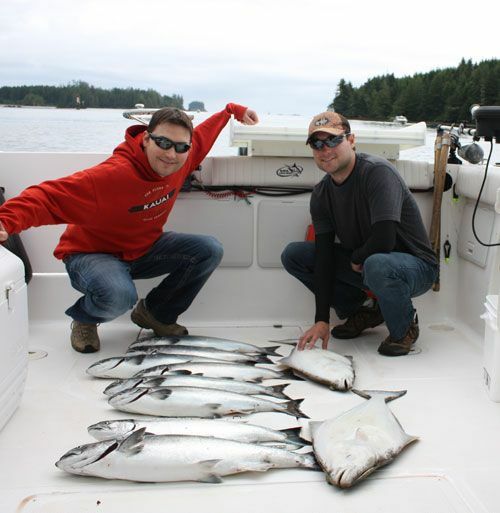 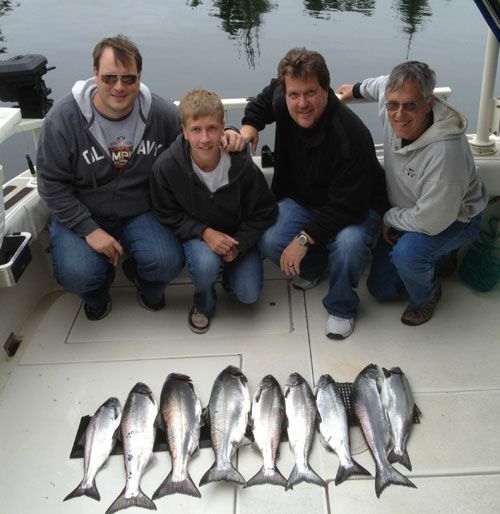 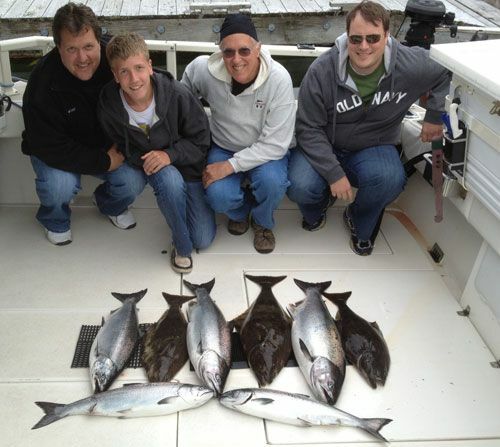 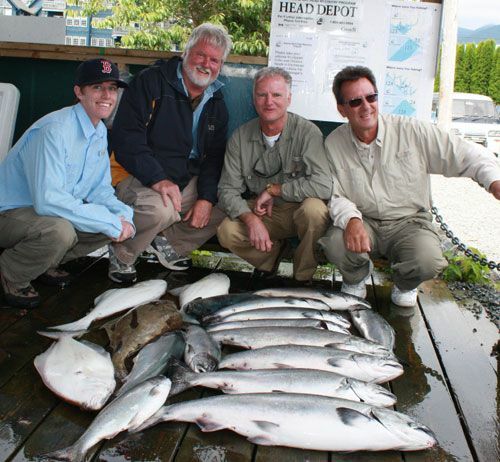 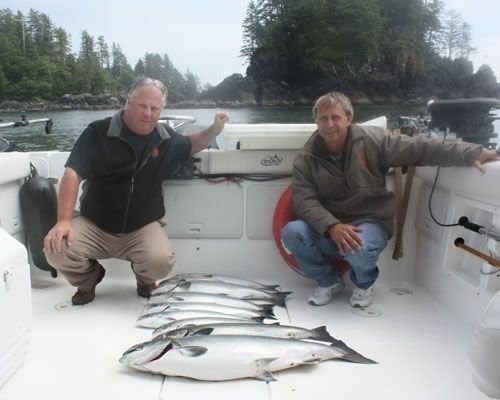 There were still some good days in Barkley Sound during August, however, most of the action for Coho was offshore. 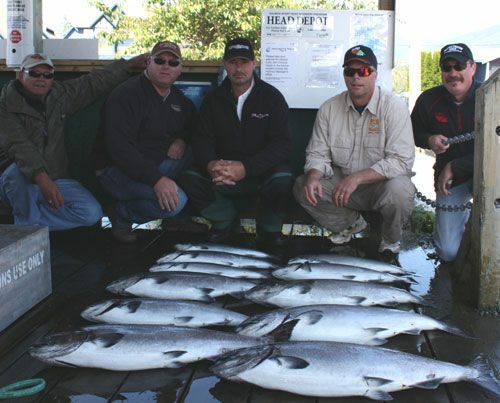 Big Bank had days where you just couldn’t get you’re your line down to Chinook or Halibut because of the Coho numbers. 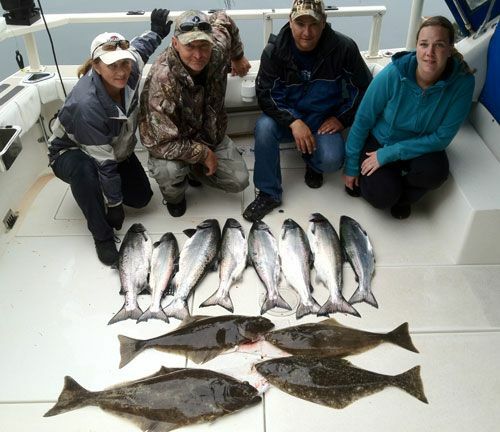 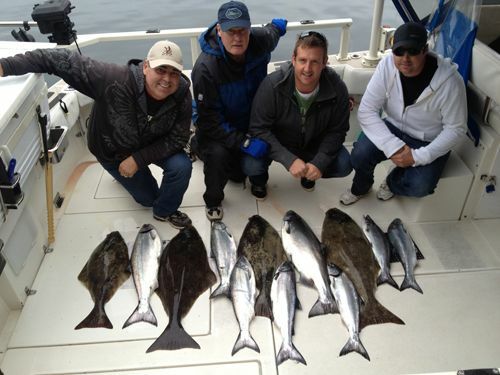 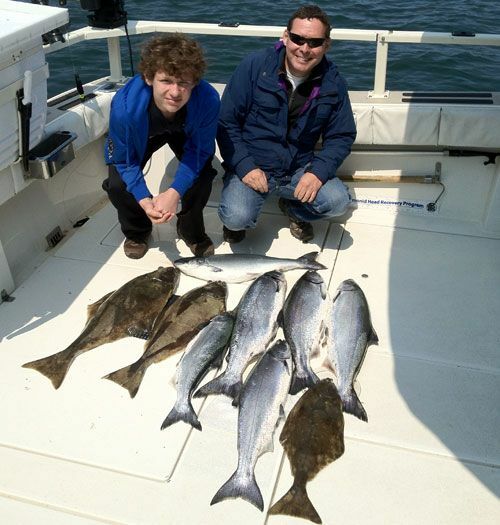 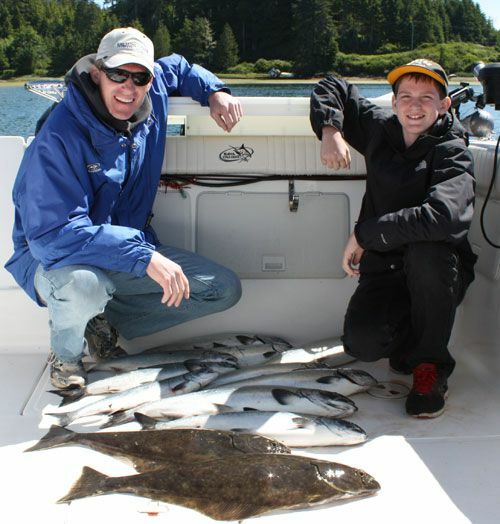 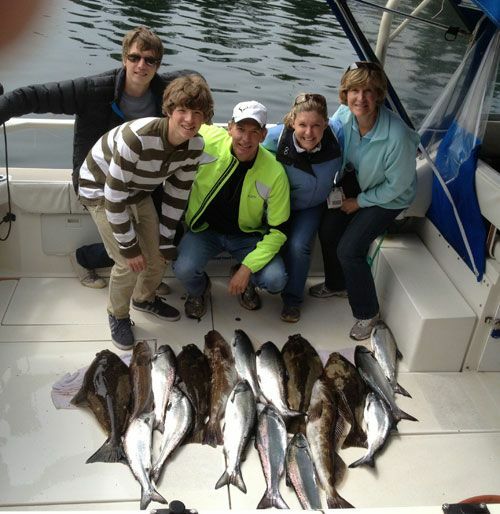 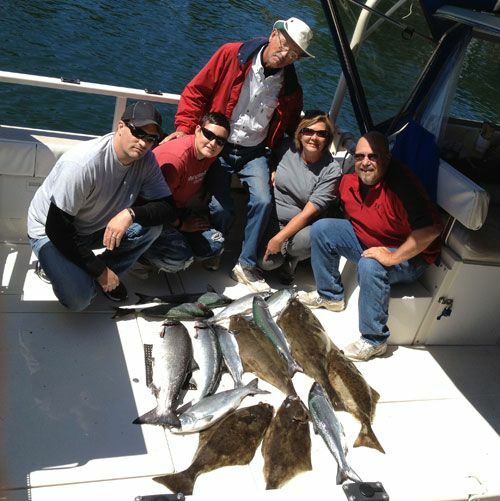 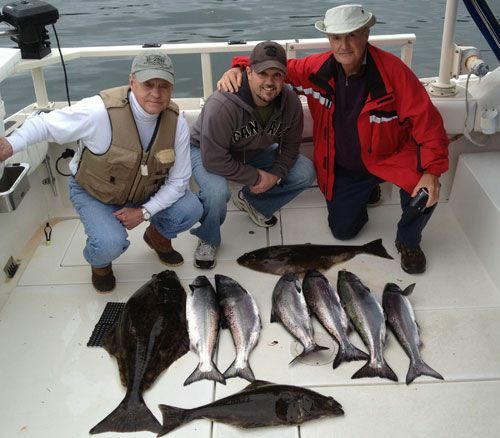 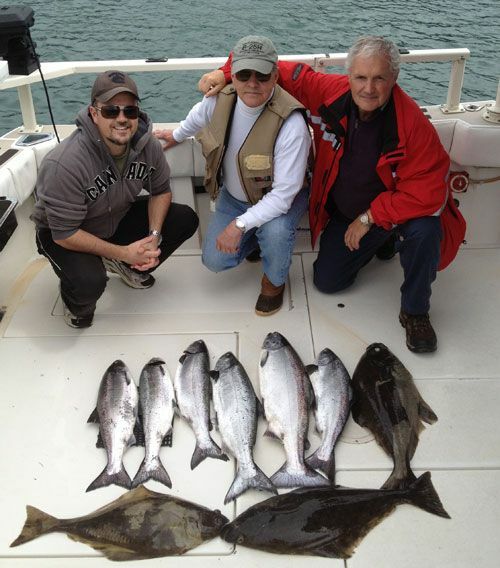 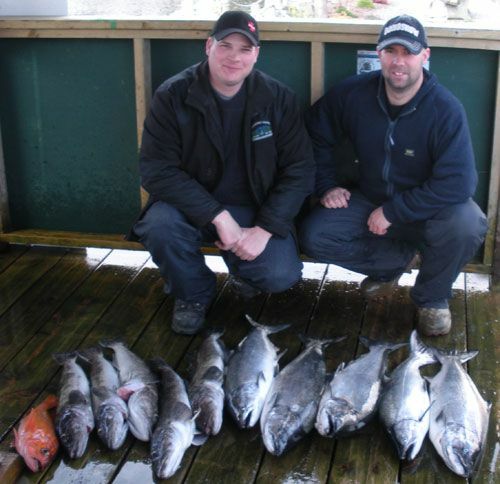 Halibut fishing was stronger than last year and we had pretty consistent halibut fishing all summer. 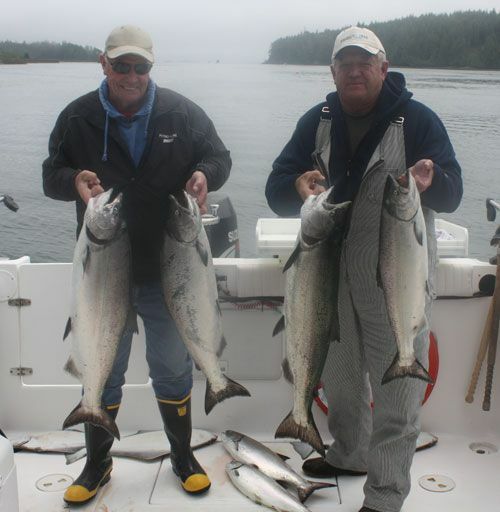 Spots changed every so often but when one spot dried up another spot would soon become hot. 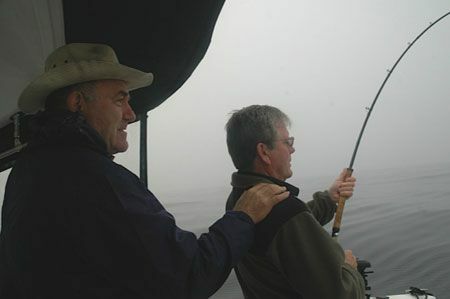 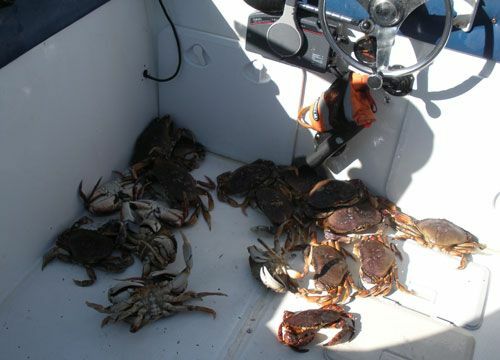 We started fishing Long Beach early for all species and then later moved to Big Bank. 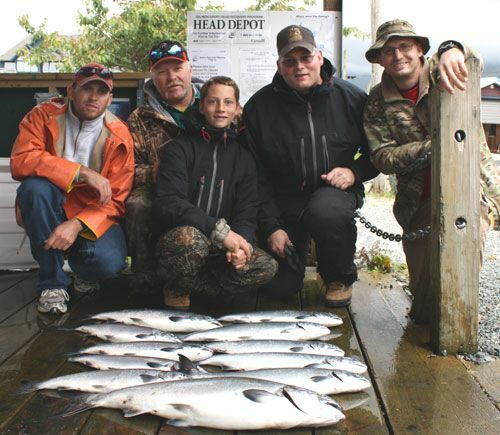 Feeder Chinook fishing was consistent on most days in quite a few areas. 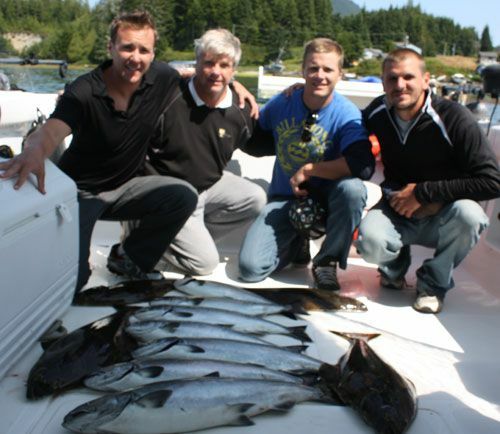 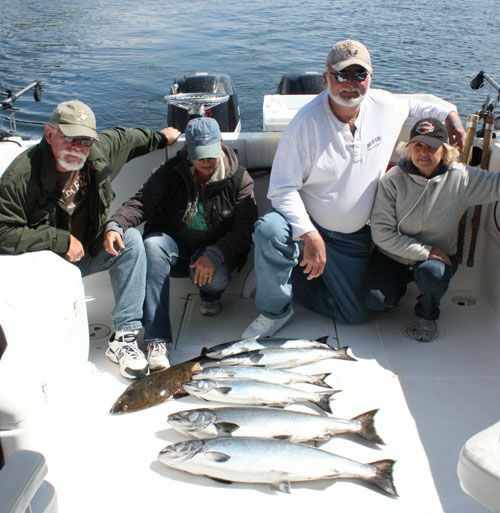 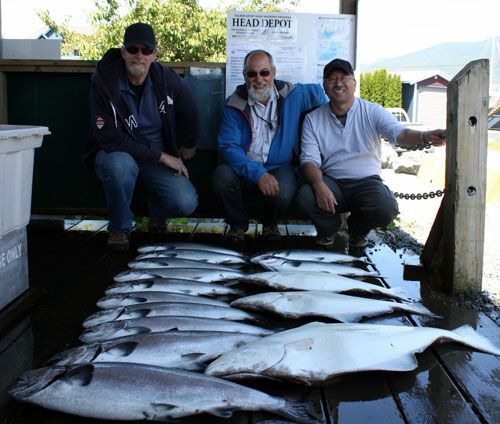 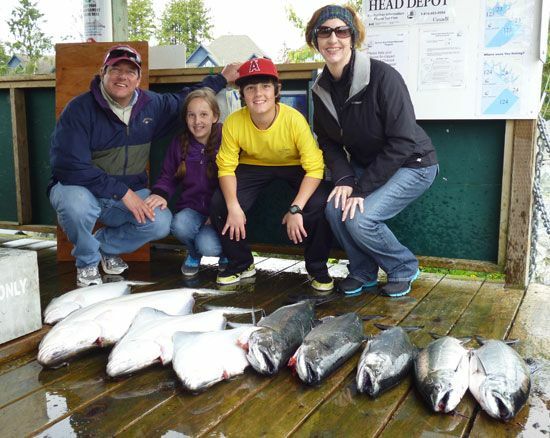 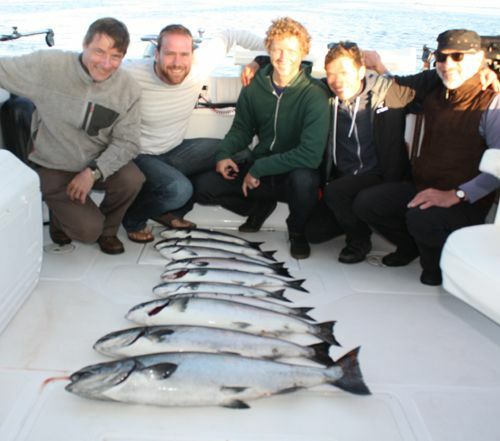 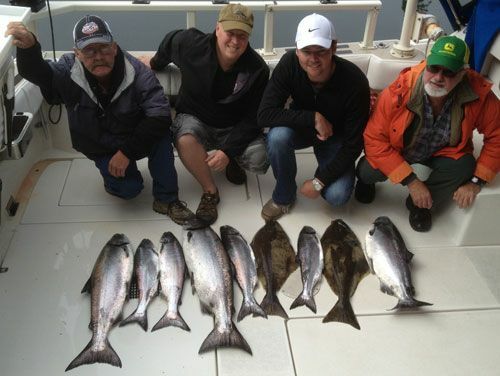 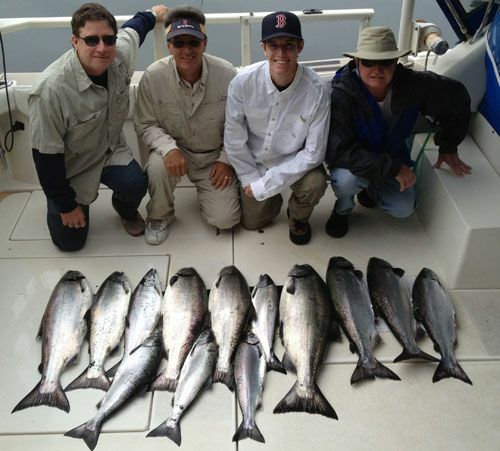 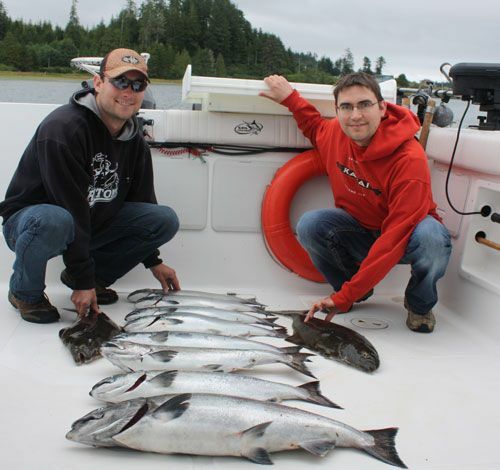 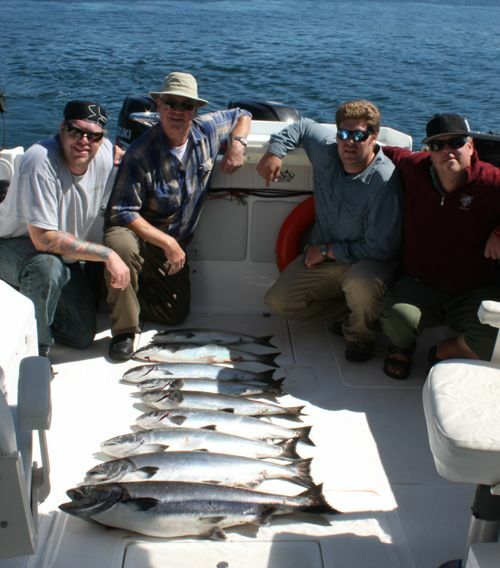 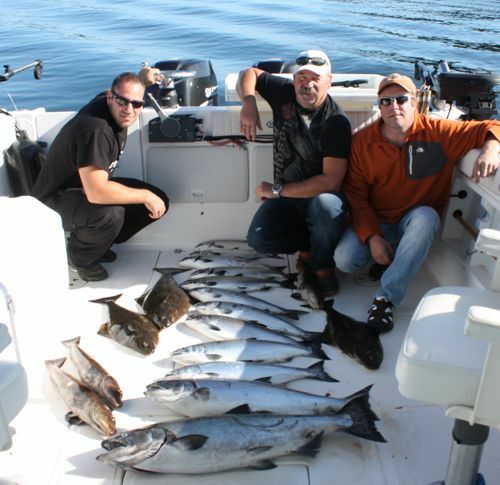 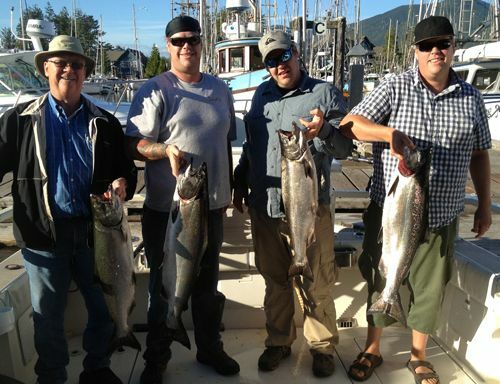 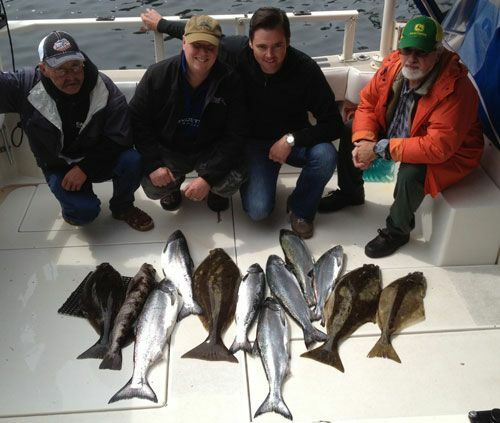 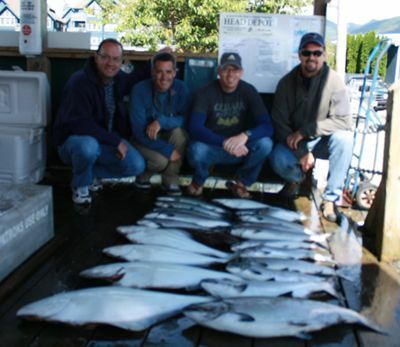 Large Chinook fishing during July and August was different than most years. 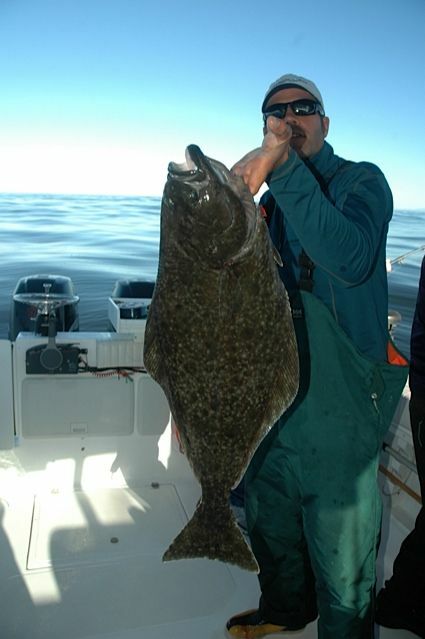 The larger Chinook seemed to move quickly through areas and would often be in different spots from day to day. 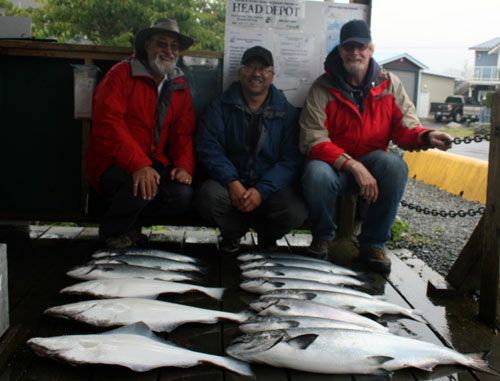 Reports from rivers south of us were good, so the numbers were going through, however the fish weren’t sticking in one spot very long. 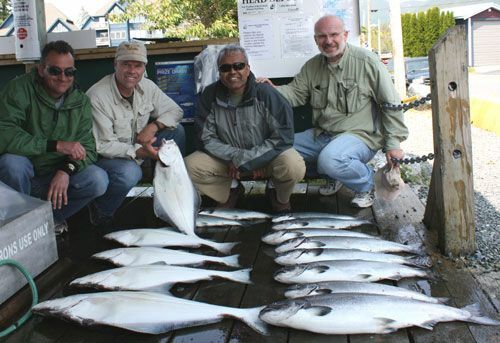 We don’t see fishing like that often, however it does happen every few years and there is no telling what makes it happen. 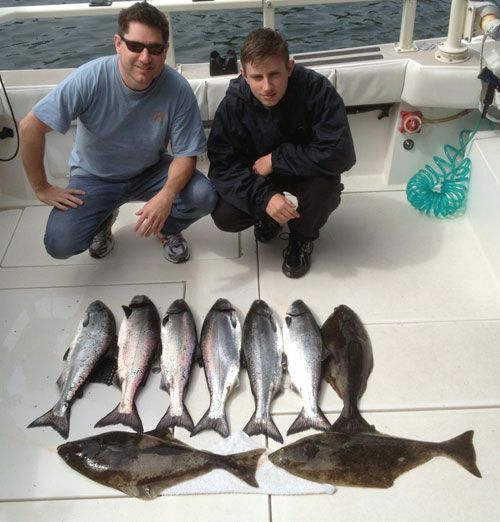 Fishing mostly consisted of flasher/spoon, and flasher/hoochie combinations. 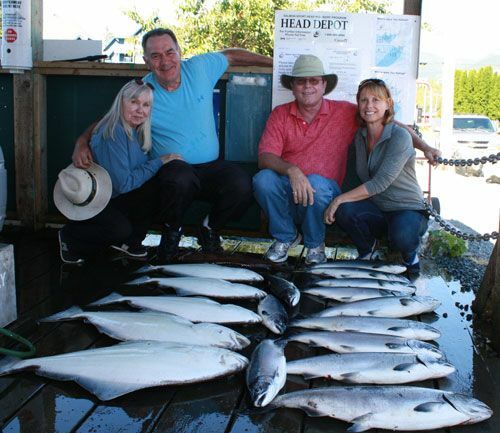 Between Chinook, Coho and Halibut we were able to send our guests home with good amounts of vacuum-packed fish, so we had a good year. 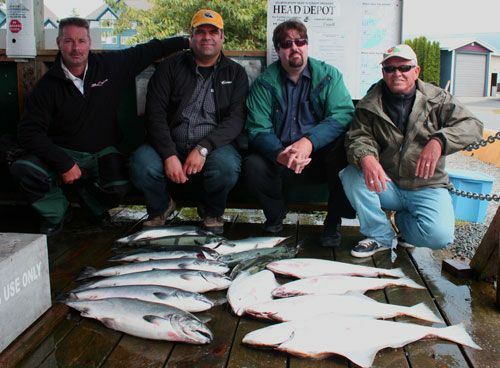 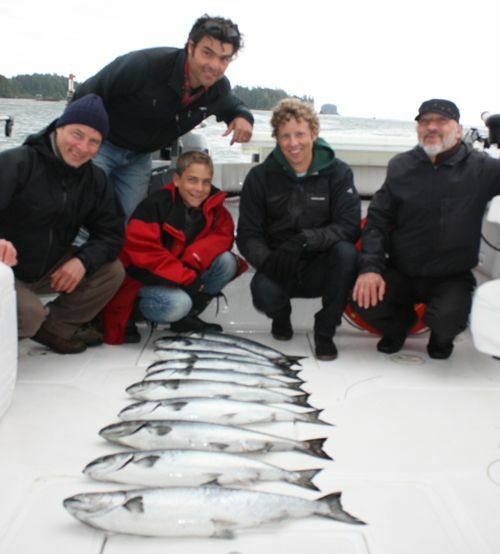 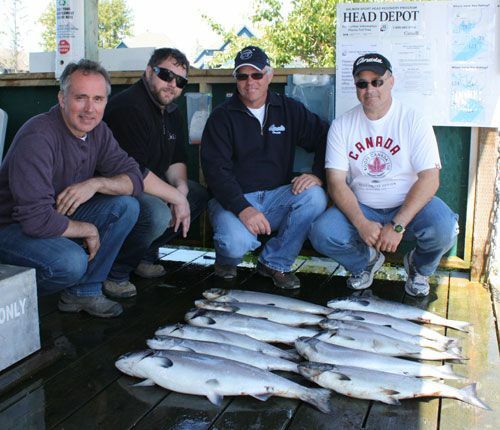 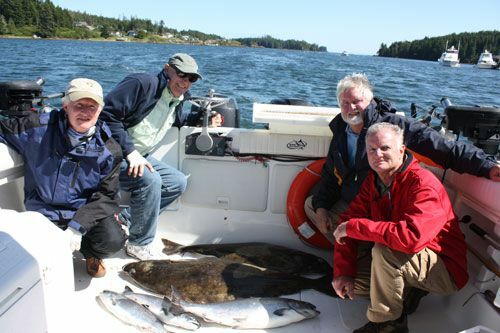 Ucluelet stands out because of the amount of returning Chinook that go through the different banks and also the amount of salmon and halibut that can be caught from day to day. 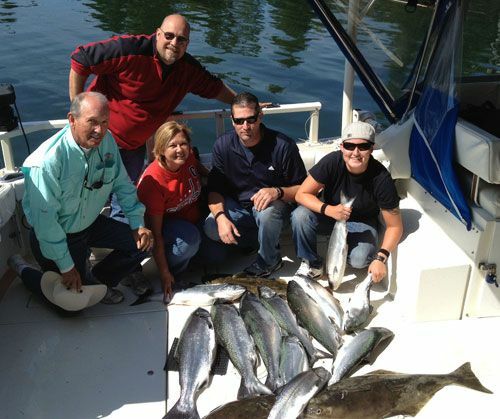 For all new people that haven’t experienced it, I believe that when you come out on one of our boats, you’re in for something special! 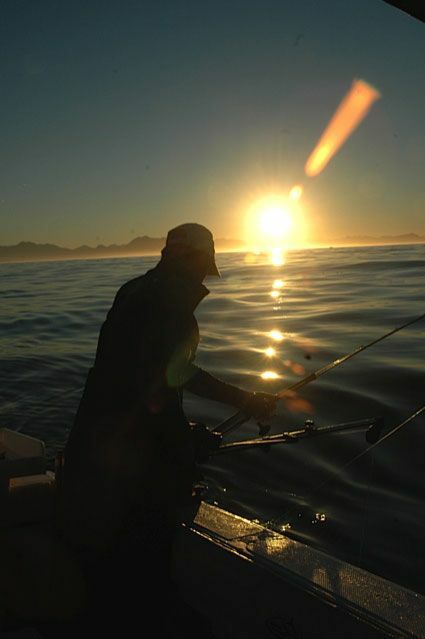 Skipper Sam Vandervalk setting the lines in the early morning. 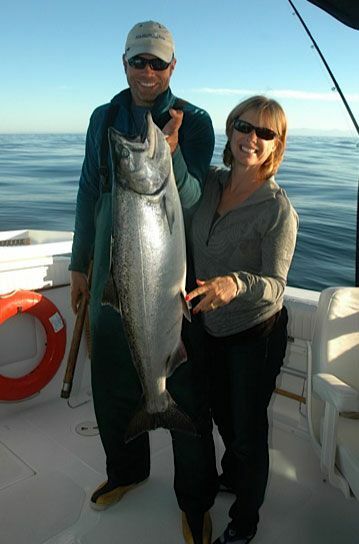 Debbie Brunk holding up a nice Chinook! 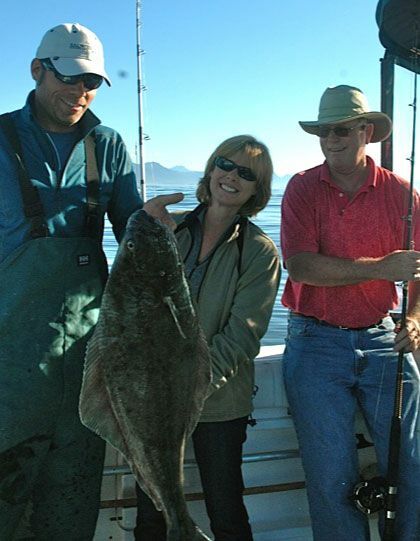 Debbie Brunk holds up her halibut after winning her battle with the king of the bottom. 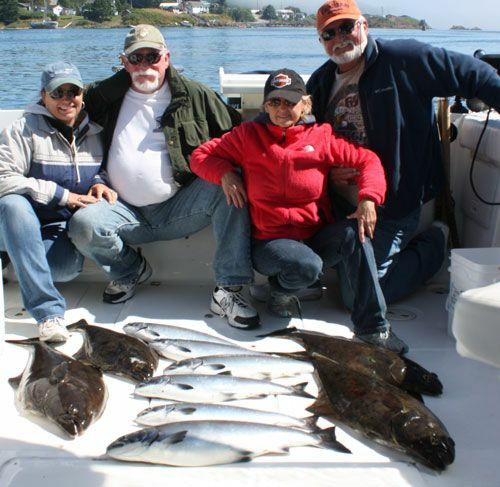 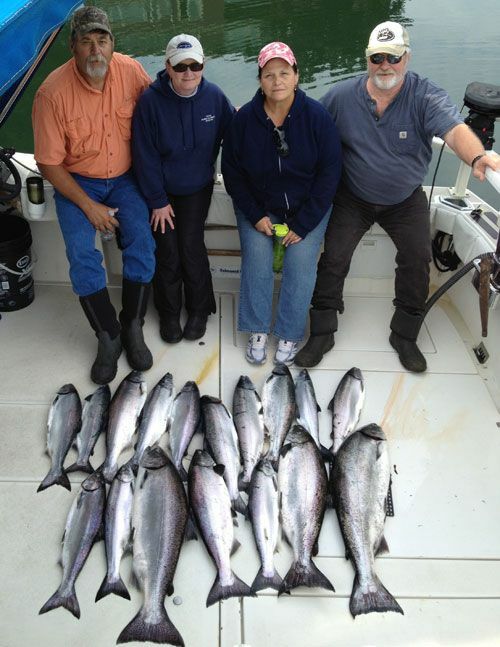 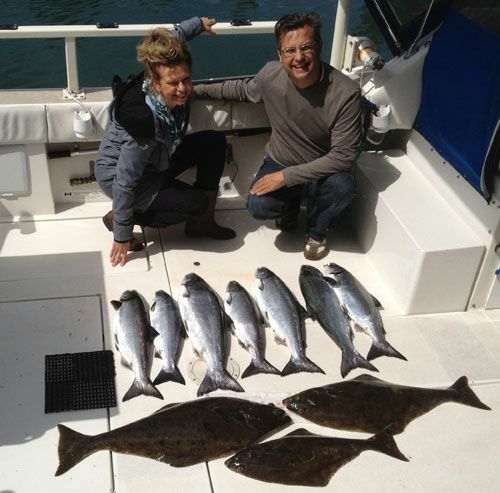 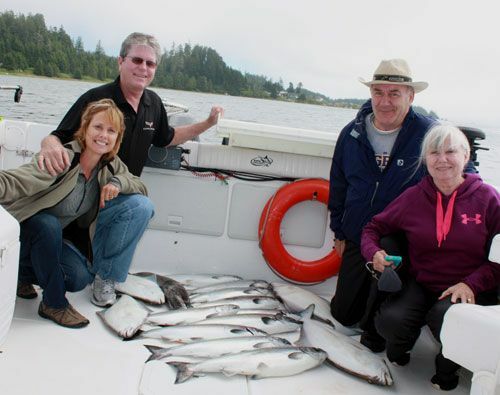 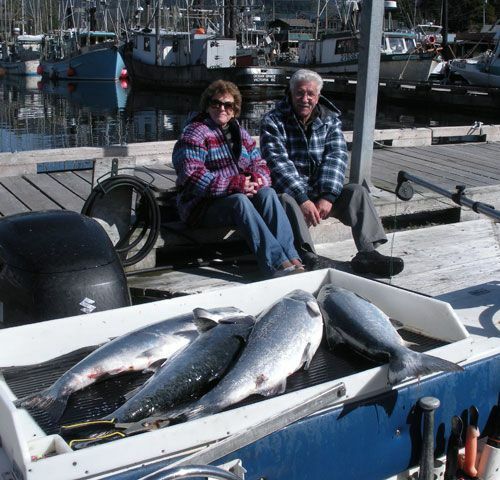 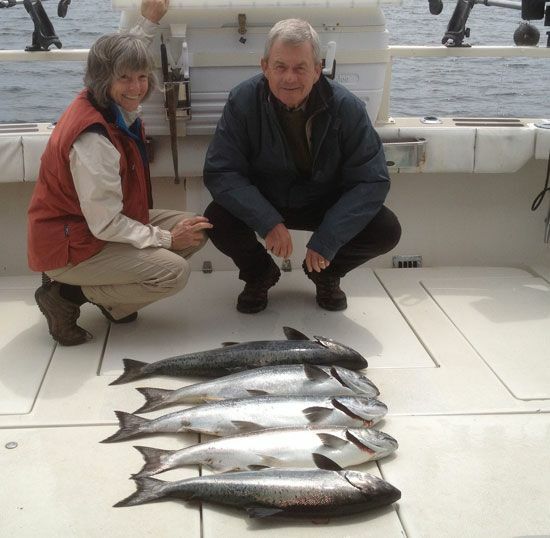 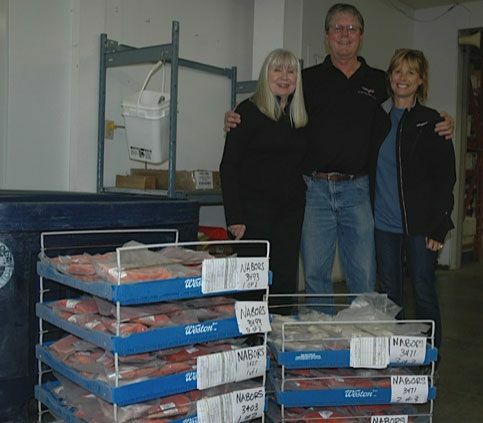 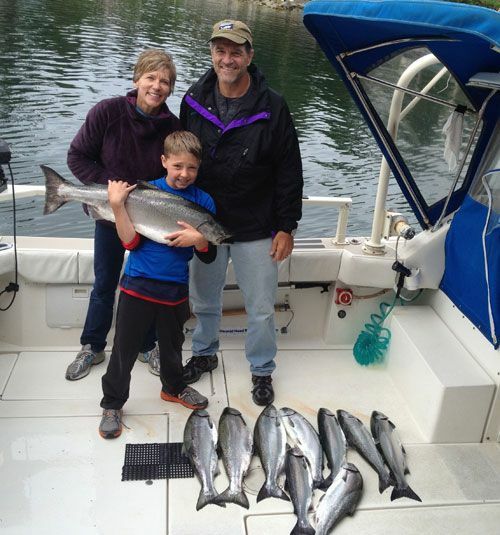 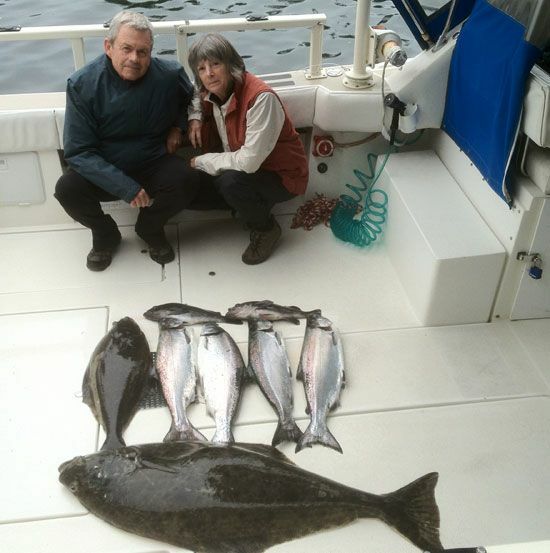 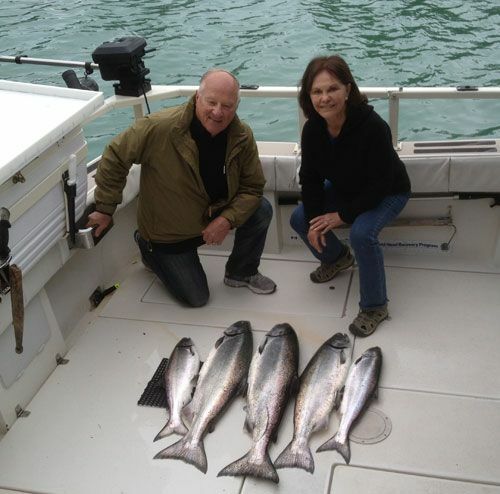 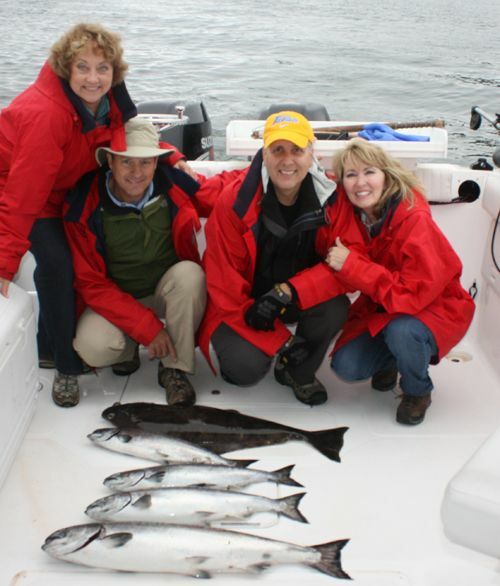 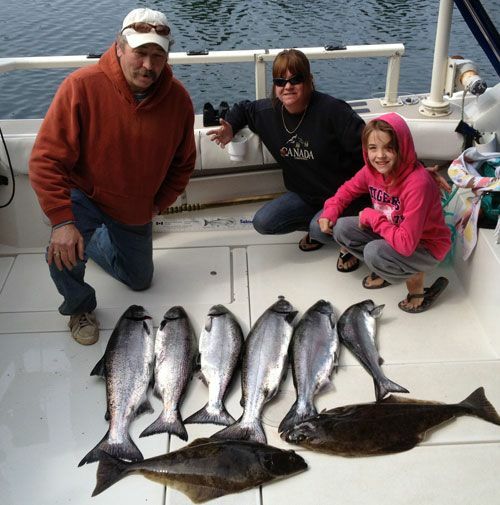 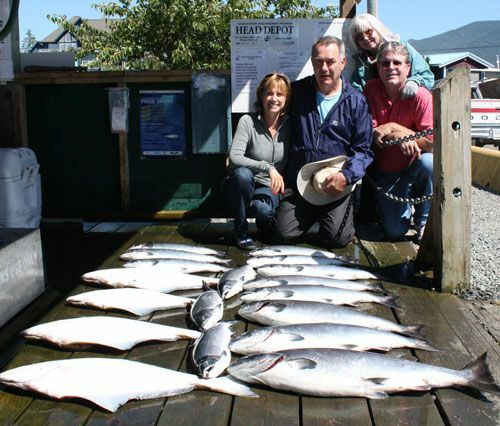 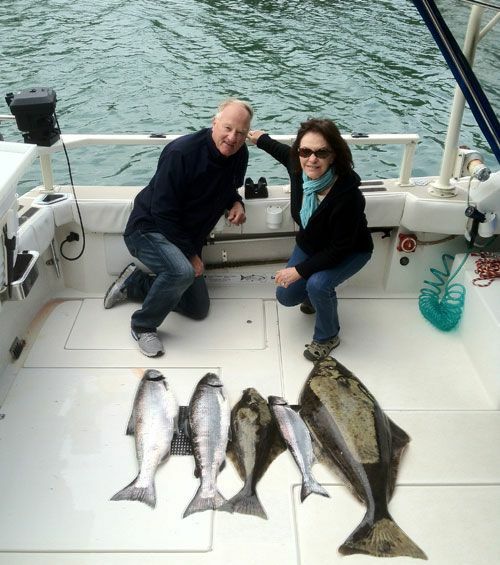 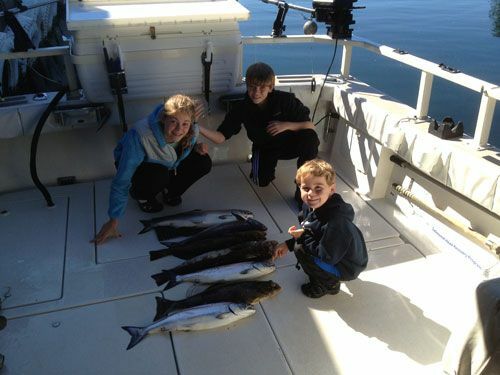 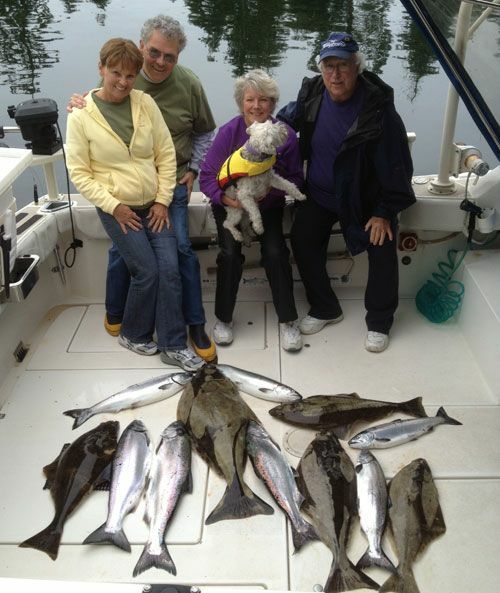 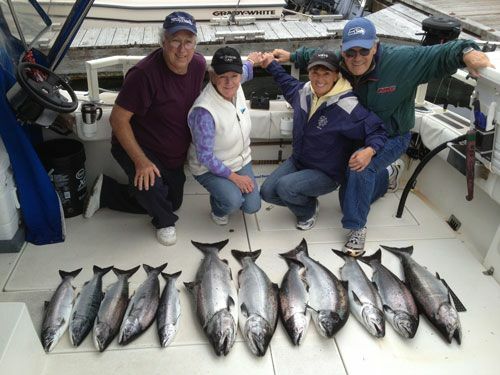 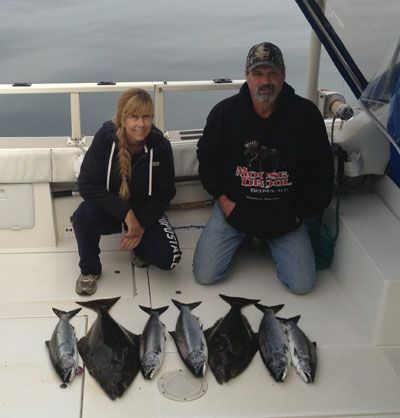 Fred Brunk with Debbie and Allison Nabors admiring their nice winter's prime salmon and halibut.